Leap Year Leap | How Will We Live Tomorrow? 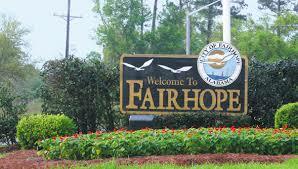 On February 29 I turned off Alabama Highway 98 to visit the historic town of Fairhope. An elderly Porsche driver took a sudden left turn across my path. I tried to veer away. Surly’s front tire hit the vehicle’s passenger side door. I flew off to the left; my left hand and shoulder landed on the pavement and I winced into fetal position on my right side. Immediately, onlookers surrounded me, cautioned me not to move, called 911, and kept the intersection clear. An off duty medic at the scene checked my vitals. The driver stopped and stood to the side. Our eyes met though we exchanged no words. EMS arrived, police. I was the centerpiece of a small town event. I argued with the medic against cutting the gloves off my bloody hand. He insisted. All I could think was they were new since Tucson and would be difficult to replace in a small town. Accident victims focus on the minutia in order to avoid larger realities. Within half an hour I was at St. Thomas Hospital emergency. I refused the tech’s attempt to give me morphine. “How am I going to feel where I hurt if you shoot me up?” Dr. Sharp ordered a battery of images and tests. A no nonsense nurse debrided my hand with ruthless precision. Everyone parading in and out of the room asked me to move my toes, fearful of paralysis. Except the police officer, who wanted my side of the story. The driver didn’t see me. Two witnesses confirmed the man turned too quick. The police report faulted him, though the gentleman didn’t receive a citation. Infractions against cyclists don’t carry the same weight as those against vehicles. Odd, considering the brunt cyclists bear in altercations. I asked about Surly, who landed outside my field of vision. The officer explained that my bike reared over the car, damaged the side panel and broke the windshield. I’m not so noble that the news didn’t provide a swell of satisfaction. Apparently, my traveling companion broke into several pieces and the police disposed of her. I’ve never been so attached to anything that wasn’t human. I love that bike. We were a good pair; she proved a trusty steed to the end. I am also broken into several pieces. I suffered a burst fracture in my L2 vertebrate, the fifth metacarpal on my left hand sheared in two, my left scapula cracked like a china plate in too hot an oven; and I popped my AC (acromioclavicular) joint as well. Fortunately, the barium CT ruled out internal organ damage, and my limber toes reflected neurological continuity. Still, Dr. Sharp was concerned about bone fragments infiltrating my spinal column, so he transferred me to Sacred Heart Hospital in Pensacola. I spent three days in Sacred Heart’s ICU and step down, where monitoring ruled out anything beyond breaks and bruises. My initial hand set proved unsatisfactory, so the orthopedist surgically pinned my metacarpal. The neurosurgeon’s assessment was hopeful. “Surgery is indicated, but in your case not required.” In the face of trauma, it helps to be fit. I was fitted for a custom back brace. My hand was cast and slinged. Those restraints together immobilized my shoulder as well. Within five days I was walking. Eight days after kissing Alabama blacktop I flew home to Boston, never once setting my eyes on Pensacola’s famous beach. Recovery at home is smooth. My housemate Paul takes exquisite care of me. My principal therapy is walking to strengthen my back. Two trips around Fresh Pond every day is five miles, usually accompanied by my children or my friends. Since April, my primary occupation is physical therapy, first, on my hand, then my shoulder, and finally my back. My manipulations require three 1-1/2 hour sessions per day plus walking. I watch hours of mindless television while rolling putty and yanking pulleys, grateful to whoever invented miniseries and fortunate to be retired. Today, I am free of casts and splints; I wear my back brace about half time. I have a green light on my hand, but still attend weekly PT appointments for shoulder and back. I’ve added swimming three times a week to my walks and at-home exercises. I hope to be cleared for yoga or the gym or to get on a bike soon. Which triggers the question: am I going to finish my trip? My trip has already exceeded any expectations; I don’t need to ride any farther. I cycled 12,576 miles over 246 days. I visited 31 states. I profiled 286 people’s thoughts about ‘How will we live tomorrow?” and published short-form replies from even more. I stayed with 159 different hosts – 134 of them I’d never met before. I was immersed in a United States that is so much more generous, thoughtful, and caring than our political, social, and economic systems can ever acknowledge; that our media will ever report. Even in Pensacola, I received visits and flowers from strangers who’d learned about my journey. In the process I believe I’ve become more generous, thoughtful and caring myself. I do not need to pedal another mile. Yet, why not finish? It’s so much fun and, I believe, worthwhile. Every one of us who lives authentically today enhances our prospects for a healthier world tomorrow. And I’ve discovered I’m most authentic on my bike. Every trip log and profile has been posted on www.howwillwelivetomorrow.com; this will be my last post on for some time. I will continue to post essays about life (unrelated to my cycling project) on my personal blog, www.theawkwardpose.com. I invite you to visit me there. If and when I commence cycling the country and asking folks, ‘How will we live tomorrow?’ I will resume posting to this site. I offer sincere thanks to all of my readers and everyone who’s participated in this project so far. Good luck in all of your endeavors. This entry was posted in Uncategorized and tagged Bike accident, Fairhope AL, Fresh Pond Cambridge, Pensacola FL, Sacred Heart Hospital Pensacola FL, St. Thomas Hospital Fairhope AL, Surly. Bookmark the permalink. WordPress intervened so you may get this twice. Glad to finally hear this story from you! Finished the Haiti book and have thought about you and your recovery many times. As well as details about the crash of course. I want to post this blog to our bike group’s Facebook page, but not without your agreement. And it’s not a problem if you don’t want that. I’m now awaiting your next book, which I hope you are creating now. I’m self-grounded from my bike now with some heart problem or something. But still got to celebrate bike month in many ways. Best wishes and prayers for you to my higher power whatever she is. So nice to hear from you. Please feel free to forward this post, or any of my published writing, to your facebook group. Once it’s out there, it’s for sharing. Be careful of your heart; I hope that you are back on the bike soon. Thanks for the “finale” post and I know whatever happens you will think of something interesting to do next. So glad your recovery is progressing and I’m looking forward to seeing you this weekend. Your post makes me feel very emotional. Coincidentally today is the one year anniversary of my car accident last year. I was barely injured compared to you (I was inside a car) and I am long healed but it increases my empathy for your experience. (I still wince at the small crashes at the confusing 3-way stop sign intersections near my house.) Surly can be replaced! Thanks for your thoughts, Larry. The wincing that comes with every skid and beep – even on TV – is an odd byproduct of having an accident. I am so glad that you’ve healed so well. I’m just reading your May post now, at the end of June. I was looking to see how your trip went…. I’m sorry to hear of the unfortunate interruption, as I’m sure you will complete the trip, if not by bike through words. It sounds like your focus on healing has been intense and beneficial. I’ve spent hours in PT weekly this summer due to a year long bout with planter faciitis and know how consuming it can be. How wonderful it is that you have Paul and all the friends and family close by for support. I’m glad you were able to see so much kindness, care and openness in the country during your journey. As you mentioned, those things are what is so often left out of the media and it’s easy to forget that it even exists in the world. How will we live for tomorrow? I hope it’s with tighter, smarter communities, more tenderness toward humanity and our environment. Missy – So good to hear from you. We can be comrades in PT – it is so time consuming but millimeter by millimeter is how our bodies regain their abilities. I am hoping to resume my trip in July and finish before the end of the year. I think often of our wonderful visit when I was in Poland, OH. Give my best to Bill and Ash – what an incredible child.